Ever wondered how to hook/spin a bowling ball? Admire bowlers who have customized bowling balls that fit their fingers perfectly? Or just love looking at the pretty colours of bowling balls? If these thoughts ever crossed your mind, why not consider joining Tenpin Bowling! 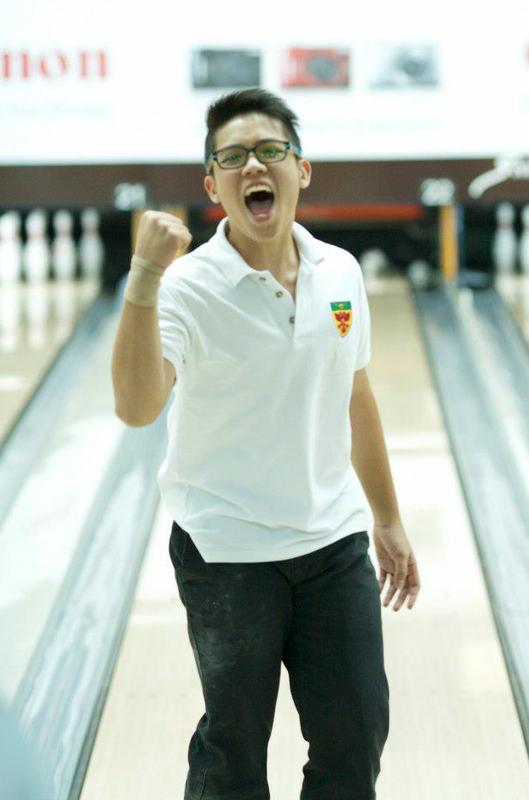 Bowling is a special sport as it relies heavily on mental strength as opposed to just being physically fit. Positive thoughts can greatly increase your chances of success, and vice versa. Two equally skilled bowlers could be standing on the lanes, but one has already won the match because of having a trained, better mental strength and being able to overcome any setbacks. 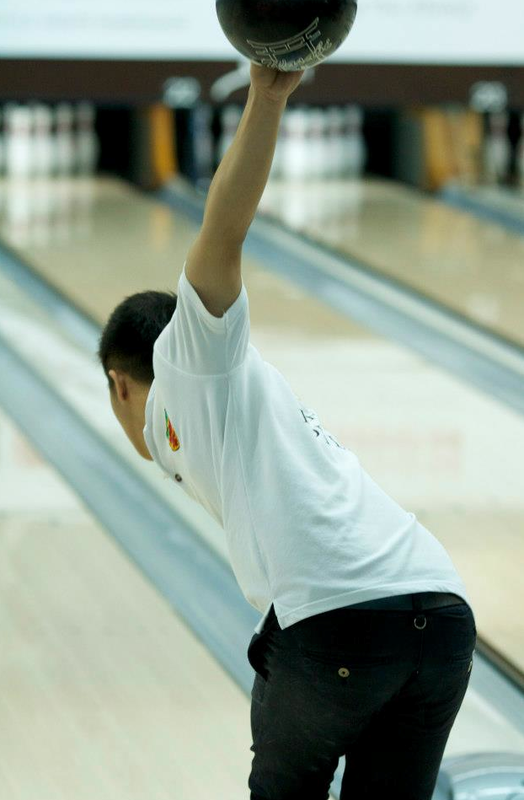 The mental toll bowling takes on a person during competition can be rather heavy, given that a game can stretch to an hour during competition but each bowler only bowls 10 frames. Nonetheless, the key to consistency is maintaining a clear and open mind throughout one’s game and believing that the result is never determined till the very last shot is completed. Simple yet often neglected character traits are built through bowling. As you might already know, bowling balls can be rather heavy. The daily routine where bowlers unpack their equipment to train and pack them up again can be tiring and mundane. However, bowling balls are only one of the many equipment each individual bowler owns. Herein lies the responsibility of bowlers to take care of their own equipment and ensure they do not leave anything behind after each training and competition. Our dear friend integrity is also very familiar with the bowlers. Whenever we miss a spare during competitions but it is recorded as a spare on the screen, we never hesitate to raise our arm and request for a change in score from the lane marshals. In the bowling arena, they say that a successful bowler requires 10% luck, 30% skills but most importantly, 60% practice. Yes, luck may seem like a funny thing but it actually plays a significant role in deciding a winner. Skills can refer to the inborn talent some bowlers might already have but ultimately, practice truly leads to perfect. Do not be deceived by ‘innate talent’ because skills can be honed. Some simple bowling lingo include ball swing, release, footwork and follow through! With only 3 (or 4 before competition period) 2 hours trainings per week, every training counts! Our bowling trainings are fun in the sense that we bowl while balancing rubber rings on our head, carrying another bowling ball with our non-bowling arm or doing speed bowling. These drills are simple yet carry a hidden motive behind them. They help to lay a strong foundation for us to build up higher level skills and usually, it’s the foundation of a bowler that determines how far he can go in his bowling career. 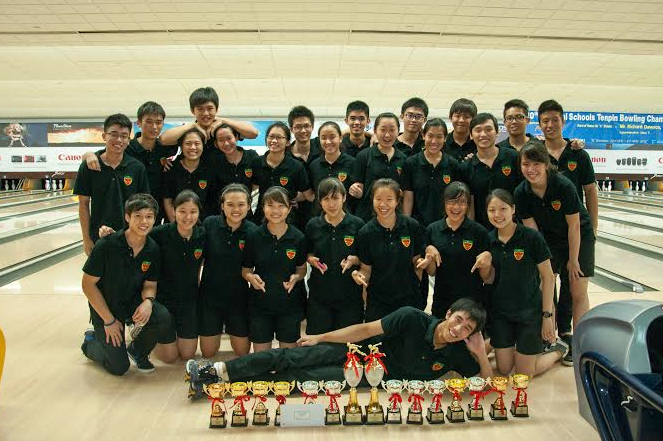 As much as bowling seems to prize the individual, the team’s success (or failure) is never the result of only the Top 4 bowlers (whose rankings are added together to determine the Overall Inter-Schools Champion). Clichéd as this sounds, each individual plays a momentous role in keeping morale high throughout the training year and during competitions themselves. What appears to be mere Hi-5s after a good shot, or nonchalant reminders to stay focused during trainings, actually culminate and form the bedrock of our team spirit. 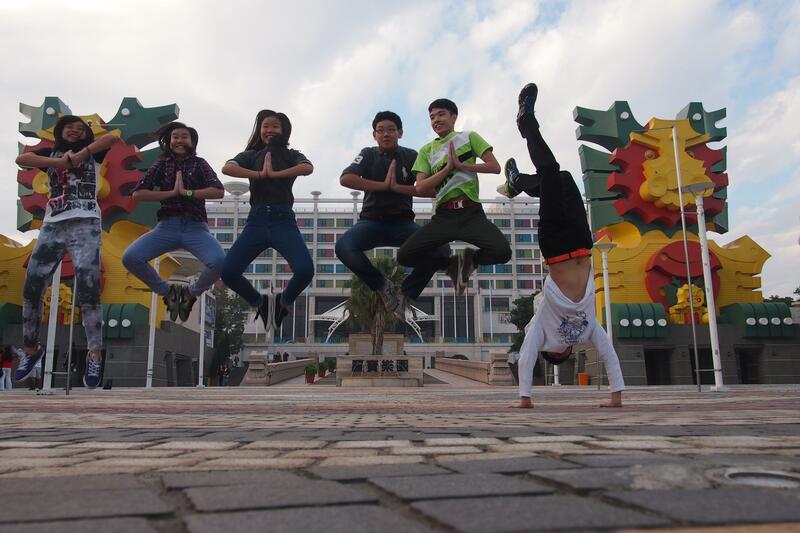 Here in Raffles Bowling, we highly value team bonding. Not just for achieving that gold, but the belief that everyone will have a better time working hard with people they love. 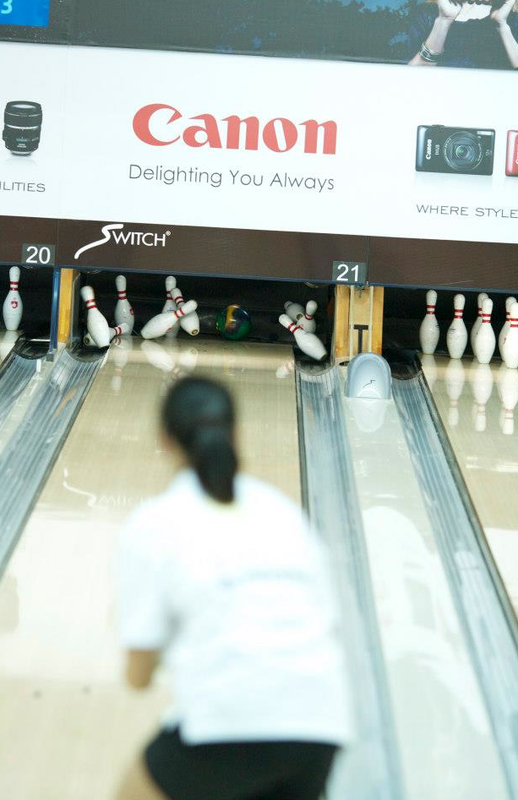 To foster this, we have an entire host of events for bowlers to kick back and have fun! They include the January Induction Programme, March/June Holiday Chalet, and an Overseas Trip (to Taiwan) that we just went on in Dec 2013!